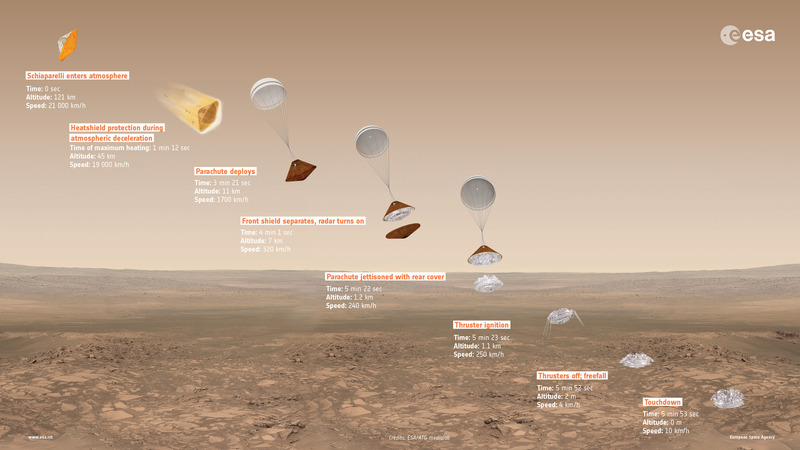 In order to precisely deliver the Schiaparelli landing demonstrator module to the martian surface and then insert ExoMars/TGO into orbit around the Red Planet, it’s necessary to pin down the spacecraft’s location to within just a few hundred metres at a distance of more than 150 million km. To achieve this amazing level of accuracy, ESA experts are making use of ‘quasars’ – the most luminous objects in the Universe – as ‘calibrators’ in a technique known as Delta-Differential One-Way Ranging, or delta-DOR. Until recently, quasars were only poorly understood. These objects can emit 1000 times the energy of our entire Milky Way galaxy from a volume that it not much bigger than our Solar System, making them fearfully powerful. They are fuelled by supermassive black holes – which are many, many times more massive than our Sun – feeding on matter at the centre of their host galaxies. In addition to their extreme luminosity, their extreme distance means that, seen from Earth, they appear to be fixed in the sky and their positions can be mapped with high precision, making them very useful as reference points for spacecraft navigation. 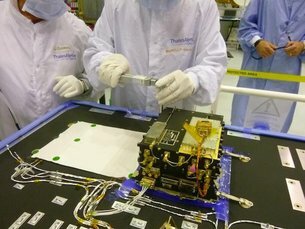 In the delta-DOR technique, radio signals from ExoMars/TGO are being received by two widely separated deep-space ground stations, one, say, at New Norcia, Western Australia, and one at Cebreros, Spain, and the difference in the times of signal arrival is precisely measured. 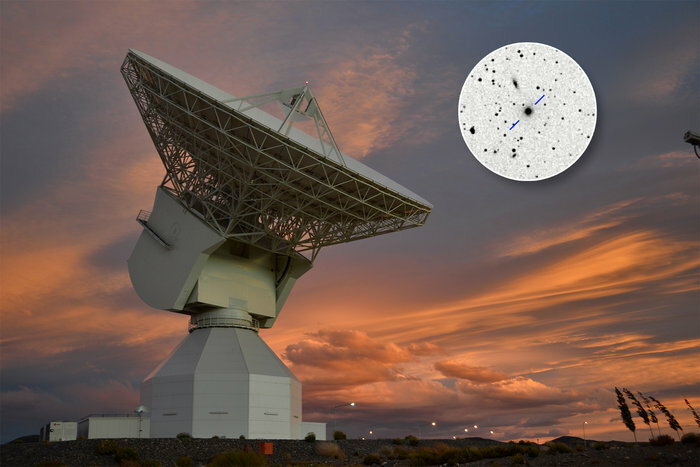 Next, errors due to current conditions in Earth’s atmosphere (which affect all radio signals passing through) are derived by simultaneously tracking radio signals from a quasar. 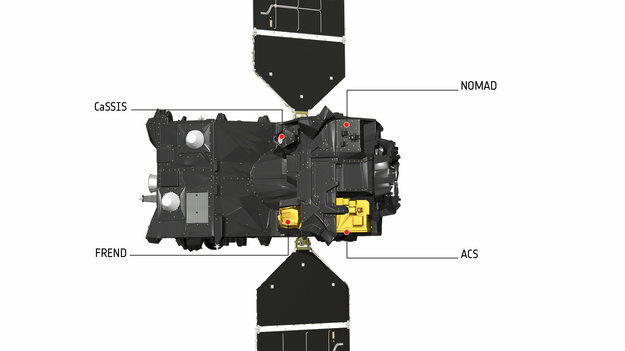 Engineers can apply these as corrections to the signal received from ExoMars/TGO, delivering a significantly more accurate fix on its position. 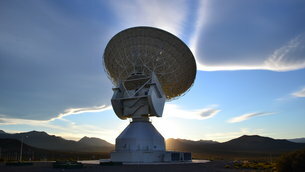 On Wednesday this week, ESA ground stations began the first of many delta-DOR observations that will be used to precisely locate ExoMars/TGO, using quasar P1514-24, seen inset in an image of ESA's deep-space tracking station at Malargüe, Argentina, above. 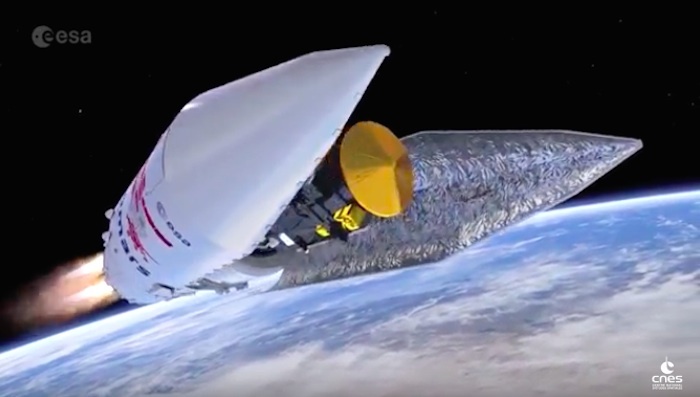 Delta-DOR observations will be increasingly performed as the journey to Mars enters the crucial phases, enabling flight dynamics teams to generate precise instructions for thruster burns and separation timing and to assess manoeuvre performance. “In October, in the final critical week before Mars arrival, teams will be conducting two delta-DOR observations daily,” says Mattia Mercolino, responsible for delta-DOR activities at ESOC, ESA’s operations centre in Darmstadt, Germany. 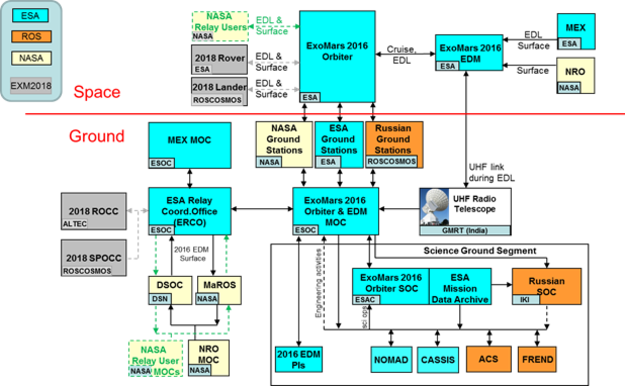 How precisely will we know ExoMars/TGO’s location? “The current set of delta-DOR observations will enable us to locate the spacecraft to less than 1000 m when it’s near Mars, a distance of slightly more than 150 million km from Earth,” says Mattia. 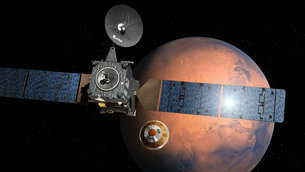 There are two missions in the ExoMars programme: one comprises the Trace Gas Orbiter (TGO) plus an Entry, Descent and Landing Demonstrator Module (EDM), dubbed Schiaparelli, launch in 2016, and the other, comprising a rover, with a launch date of 2018. Both missions are in cooperation with Roscosmos.